The Buccaneers go home for the season after losing to the Titans 13 to 33. 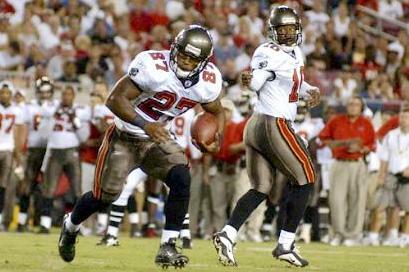 The Buccaneers lose final home game to the Atlanta Falcons 30 to 28. RB Thomas Jones carried the ball 34 times for 134 yards and 1 touchdown. Sapp made his second TD catch of the year to help the Bucs win 14 to 7. The Jaguars beat the Buccaneers 17 to 10 for their third win of the season. RB Thomas Jones dives over the top to score the Bucs first TD of the night. RB Thomas Jones ran for 134 yards giving the Bucs a spark off the bench. WR Keenan McCardell makes a spectacular catch for a TD late in the game. 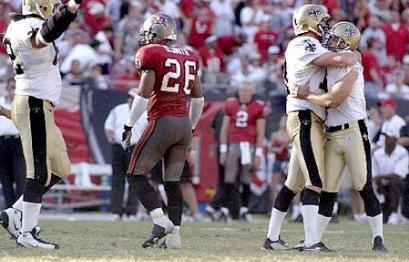 The Saints beat the Buccaneers 17 to 14 with a last second field goal. The Cowboys offense had no answers for the aggressive Bucs defense. 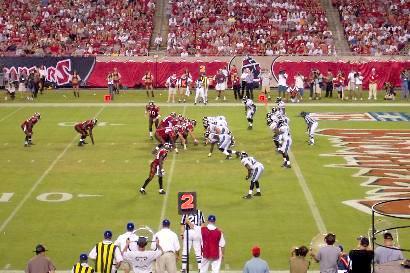 Keenan McCardell had a 75-yard touchdown reception in the 1st quarter. Rookie TE Will Heller scored his first professional TD against the Redskins. 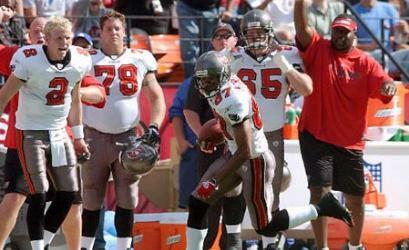 Vanderjagt makes overtime field goal to beat Buccaneers 38 to 35. 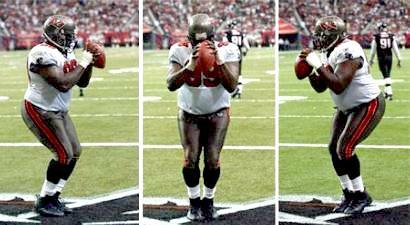 Sapp scores first offensive TD on way to a 31-10 win over the Falcons. 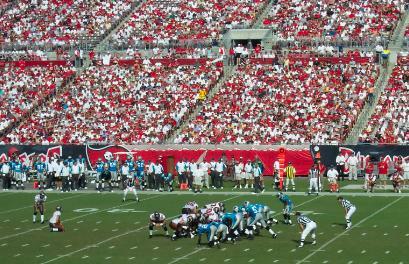 Panthers blocked 3 kicks on route to a 12-9 win over the Bucs in overtime. 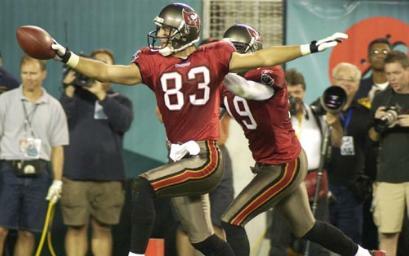 WR Joe Jurevicius scored 2 touchdowns to help lead the Bucs to a 17-0 win. RB Aaron Stecker had 5 carries for 35 yards rushing and 2 touchdowns. RB Thomas Jones had 7 carries for 57 yards rushing and the Bucs only touchdown of the game.